As ASB President, Gilbert took the initiative in applying for the California Association of Directors of Activities (CADA) / California Association of Student Leaders (CASL) Outstanding Activities Program Award. Under his leadership they received the very first Outstanding Activities Program Award at Pioneer. As a student, Gilbert was selected and attended the Hugh O’Brien Youth (HOBY) Leadership conference, Rotary Youth Leadership Awards (RYLA) conference, and the Chicano Latino Youth Leadership Project (CLYLP) conference in Sacramento. He was selected as the American Legion Boys’ State Representative to attend the State Conference in Sacramento. He was also a delegate to the National Hispanic Youth Initiative (NHYI) conference in Washington D.C. Gilbert graduated in the top 10% of his class in 2003. Gilbert attended Cal Poly Pomona and graduated in 2010 with his Bachelor of Science degree in Social Sciences. He completed a Social Science Single Subject teaching credential and an Education Specialist teaching credential at Whittier College. At Whittier, he also earned and graduated in 2012 with his Master of Arts degree in Education. While in college, Gilbert worked for the Whittier Union High School District (WUHSD). He began working at La Serna High School as an Instructional Aide in the Language Development Program and as an Attendance Caller. He also served as an AVID Tutor at Pioneer his first year at WUHSD. He eventually made the move to Pioneer full time as the Bilingual Education Specialist in the Expanded Horizons Office, a position he would hold until 2011. Gilbert was honored to have the opportunity to teach Social Studies at Pioneer during the 2011-2012 school year. 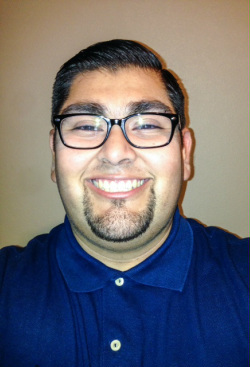 Due to unforeseen circumstances with staffing needs, Gilbert became a Special Education Instructional Aide at Pioneer and California High School for the next school year. While at Pioneer he coordinated the Prom for 8 years and also served as a Class Council Advisor, the Link Crew Coordinator, and as an ASB/Activities Director. He helped oversee the CADA/CASL Outstanding Activities/Leadership Program application process, of which four consecutive awards were earned. The Whittier Union High School District afforded Gilbert many excellent opportunities to grow and he hopes to eventually return to give back to his community. Gilbert now teaches full-time as a Special Education Teacher at Bellflower Middle/High School and is the Freshman Class Advisor at his new school!